For some people, that means hopping on a plane or cruise and chasing the sun! Others will take a faster route and opt for their local tanning salon to get their dose of artificial sunshine. You might want to think twice, however, after hearing this story from a 34-year-old mother-of-two from Chicago, Illinois. Carrie Doles first started using tanning beds at college when she was 18-years-old. But it wasn’t just a treat every once in a while. For four years straight, Doles would visit the tanning salon almost every night after class with friends. 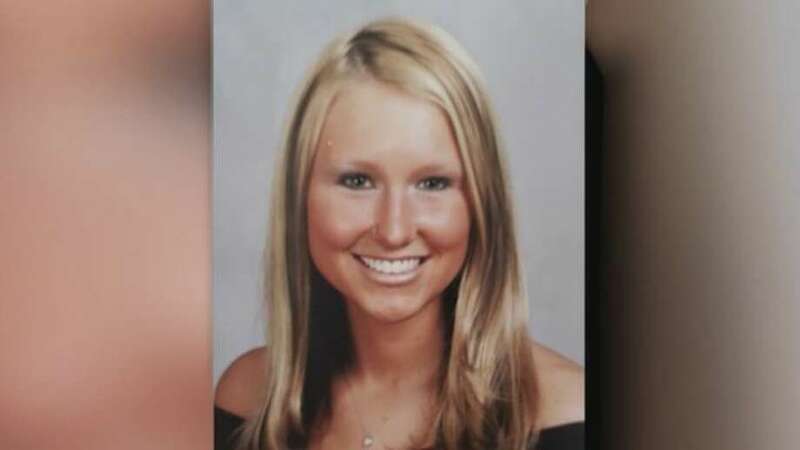 This bad tanning bed habit continued after college for four more years… until Doles’ doctor diagnosed her at the age of 26 with Basal Cell Carcinoma, a type of non-melanoma skin cancer. Her doctor removed it and left her with two simple instructions: 1) stay out of the sun and 2) stay away from tanning beds. Doles kept going to tanning salons even after her doctor’s warning – and we can see why. This type of skin cancer is, in fact, the least risky. And, with early enough detection and treatment, basal cell carcinoma can even be cured. Shortly after getting the cancerous spot on her leg removed, Doles noticed another spot on her face. With her wedding around the corner, she waited until after to go in for a biopsy. Again, it was basal cell carcinoma. What she didn’t expect to hear was that the cancer cells were spreading like wildfire. So, they began treatments immediately. There are many treatment options for this type of cancer, including freezing cancer cells or radiation therapy. But Doles opted to have the tumor and surrounding area numbed and then cut out. According to the Skin Cancer Foundation, over “4 million cases of basal cell carcinoma are diagnosed in the U.S. each year. In fact, BCC is the most frequently occurring form of all cancers.” (4) With such high chances of the average person getting basal cell carcinoma, the last thing people should do is frequent tanning salons. After three run-ins with skin cancer, Doles has never cared more for her skin. She even shares her story in schools to help students avoid making the same mistakes she did as a teenager and young adult. Dermatologist Dr. Carolyn Jacob also suggests getting checked sooner than later. Timing can make a world of difference. “If you have a spot on your skin that won’t go away, that bleeds on its own, that won’t heal up, or looks like a shiny bump and is new but does not go away, you want to go see your board-certified dermatologist to make sure you don’t have skin cancer.